There's a climber in all of us! Under-school-aged children in for free with a climbing guardian! A new BK gym was opened 28.10.2017! BK has a lot of fun! Bouldering brings you closer to the ground. Hard training needs more service, so that the machine stays well oiled. Bachelor party? Company Event? Book our sauna! Company event coming up? Do you want to experience something different? 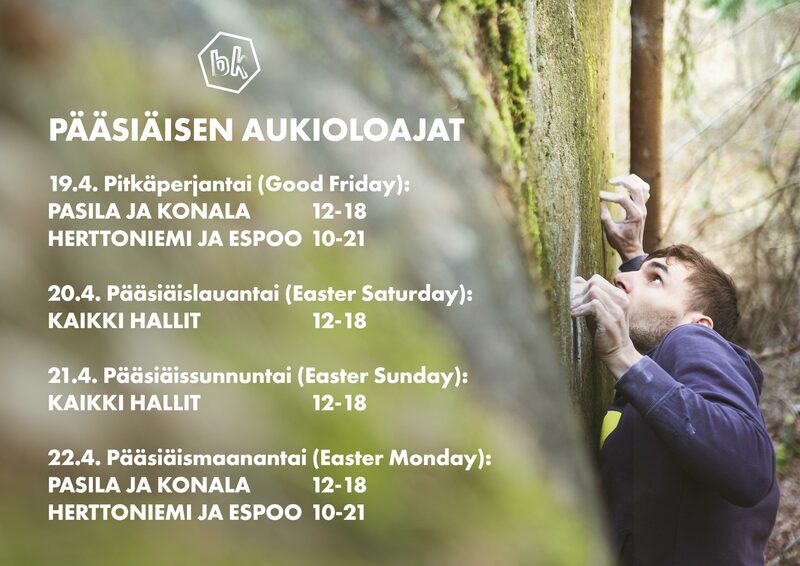 Try bouldering! 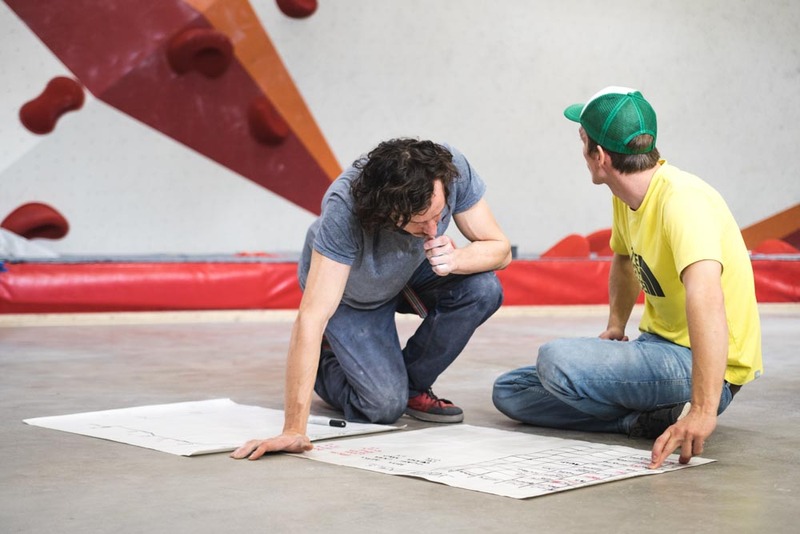 Welcome and enjoy Boulder center's climbing world. Opening hours, locations and prices. Check prices for singel passes, serial cards, company and student groups. Our business hours are pretty static. Sometimes during festives and summertime we can have different opening hours. Check the latest info here. 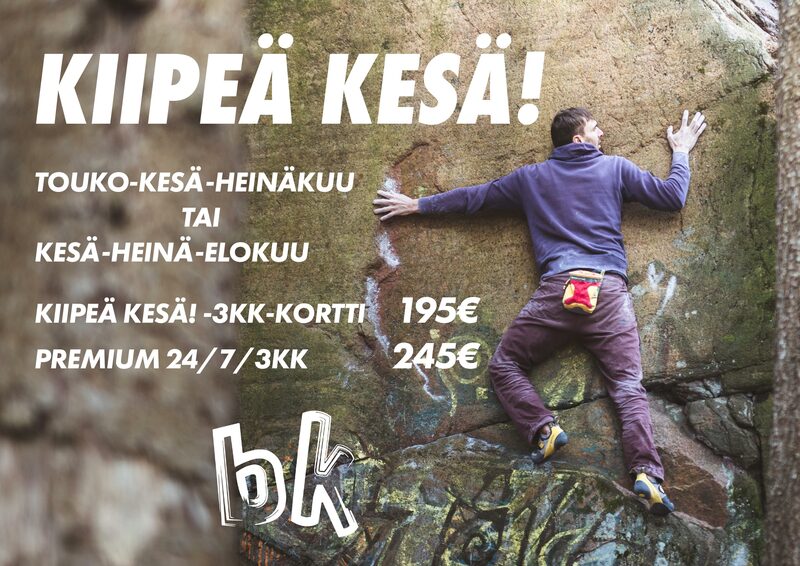 There are Boulderkeskus in Pasila, Konala and Herttoniemi. Check thigs page for more detailed contact infor and addresses.